Founded in 2018, Epic Cycling Penticton is a result of Darcy and Tamara’s passion for cycling, food and wine. This dream is about the enjoyment of cycling with the reward of wine and food at the end of the ride. 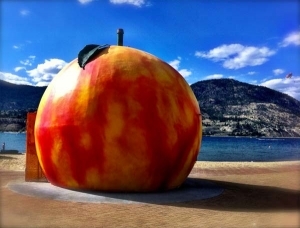 Penticton is ranked as Canada’s top cycling destination. Cycling is world renowned and hosts many triathlon, duathlon, and cycling events due to the perfect riding conditions during the warmer months. We want to share this amazing desert environment with its beautiful lakes, beaches, vineyards. The south Okanagan area is home to over 100 small and large wineries that are the Epic end to each ride. Wines that are unique to the Okanagan area will be featured, as well as locally grown farm to table culinary delights to be enjoyed along with your wine sampling. We hope that you will enjoy our rides as much as we do! Our mission: for every visitor to experience Epic Cycling Penticton by bike. Epic Cycling’s vision is to become a front-runner in the Canadian tourism market and industry reputed for reliability among customers and industry partners alike. In doing this we will provide an Epic experience for cyclists by making life long memories. Question? Contact us or email info@epiccycling.ca. We are devoted cyclists and epic planners. Our cycling obsession began by training for the Ride to Conquer Cancer, raising funds and awareness for a worthy cause. We have competed in numerous Gran Fondo’s and belong to several Vancouver cycling teams. We love the team spirit, the banter and the camaraderie of the group ride, followed by great food and beautiful wine. We have travelled extensively throughout the world and love cycling along the way – the joy of traveling is to see it by bike, making new friends and enjoying the bounties of the region. We live, and love to ride. We pedal happy, smile a lot and eat well. We’re obsessed with cycling, food and wine and we believe the beauty of the South Okanagan is truly revealed through its terrain and cuisine.